They say the way through a man's heart is through is stomach. Here are some of the family favorite recipes along with those that have been passed down by family members and friends for you to use and treasure through your many years of marriage. Thank you to everyone that has shared their recipes that have been added to this cookbook. 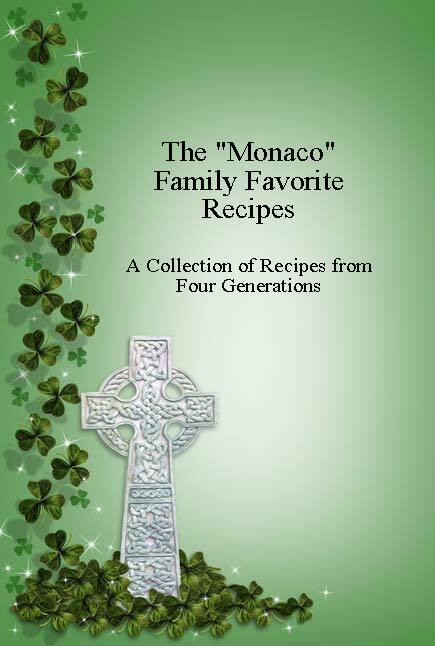 There is a collections of recipes not only from not four family generations but from friends, cousins, aunts and uncles. With serrated knife, cut circle from center of bread, keeping sides intact; trim inside of bread to form bowl. Set bread bowl aside and cut remaining bread (part cut from center) into large, bite-size pieces. Set aside. Combine sour cream, mayonnaise, parsley, onion and spinach together.